Bed Bumper There are 2 products. 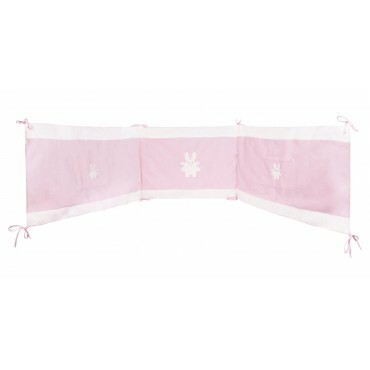 This Bed Bumper Angel Bunny Pink is a key element for your child's room.210 x 35 cmWashing 30°, no tumble dry.Delivered in Gift box. This Bed Bumper "stars" is a key element for your child's room. 210 x 35 cm Washing 30°, no tumble dry. Delivered in Gift box.